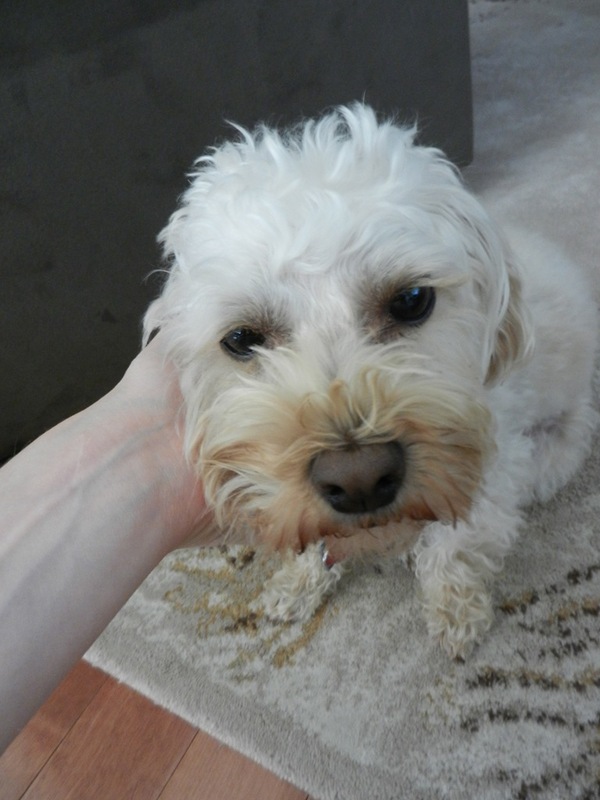 After work yesterday, I headed to mom and dad’s and was greeted by this white little furball named Abbie. The greeting begins with running over to me with a major tail wag. Then she gets down on her belly so that you can give her a back rub. 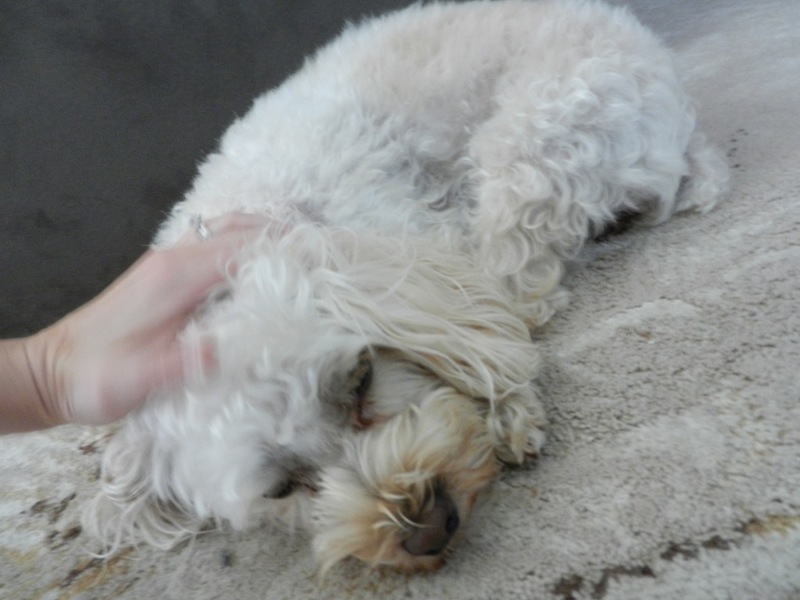 And a head rub…pure bliss on her face. And then she ends the greeting with asking for a belly rub. Oh Abbie May. Talk about making a gal feel welcome. I love how dogs are SO excited to see you whether you’ve been gone for days, or a couple of hours. They are so full of love. Or maybe she just loves a good belly rub? I had so much fun hanging out with mom and dad last night. I felt very relaxed as I sat back and watched as they prepared dinner. As much as I enjoy cooking, it’s nice to have someone else cook for you every once and a while. 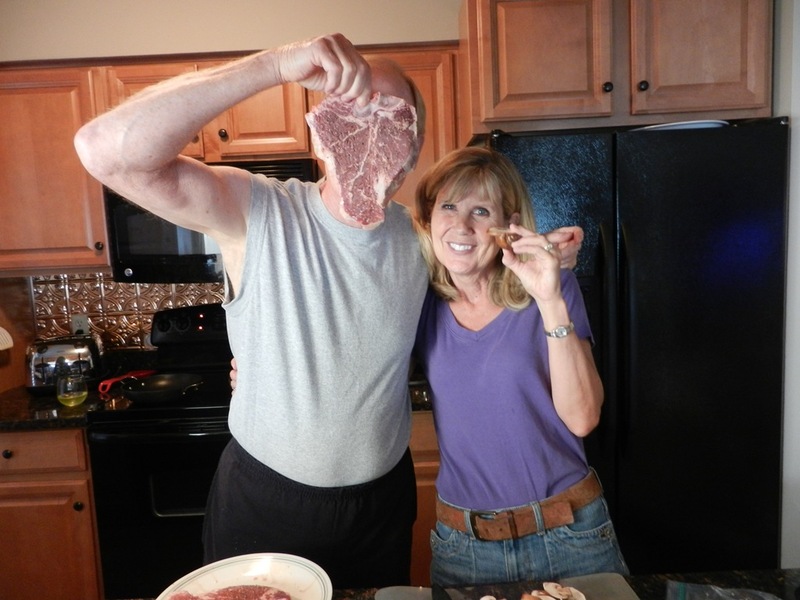 Of course, when I asked for a photo of them preparing dinner, this is what I got: Steak face. 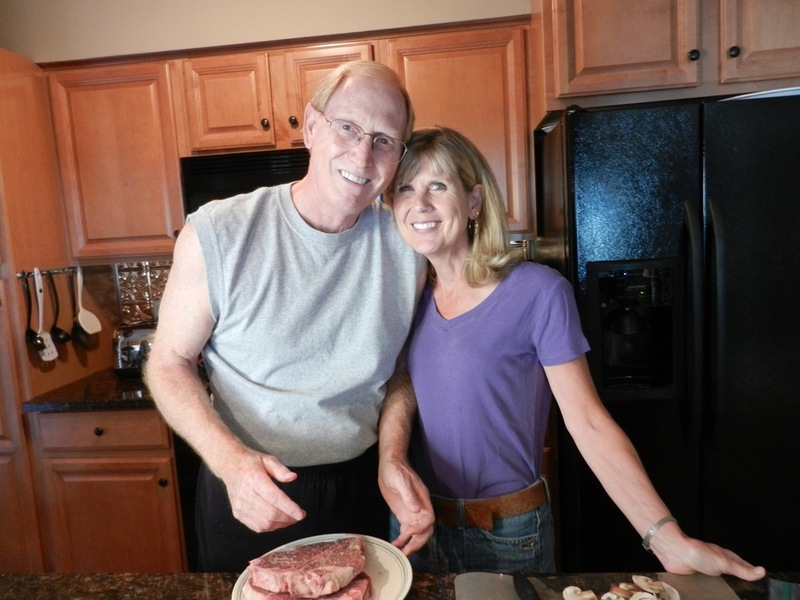 And then there’s mom by his side holding up her cute little portobello mushroom. What can I say, he always makes me laugh. Then I got a sweet one. Are they not the cutest? Seriously. 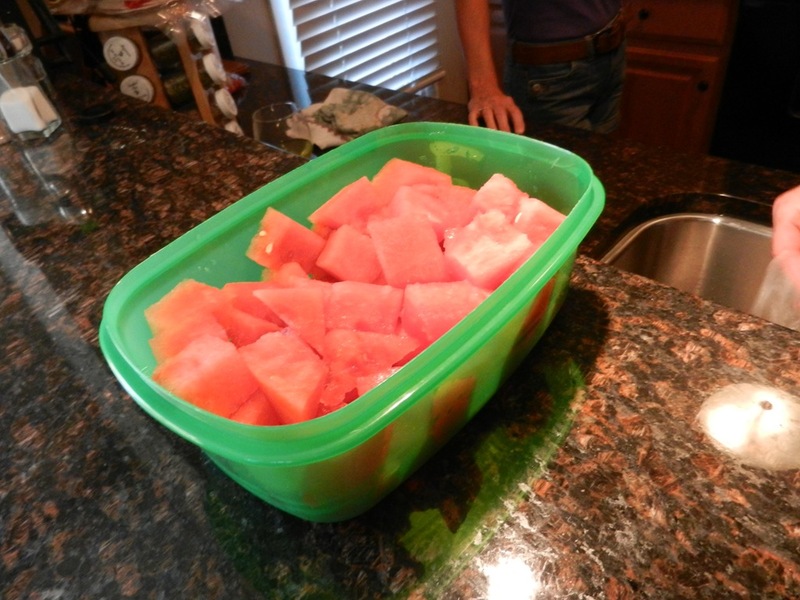 We snacked on juicy watermelon as our appetizer. Once the steaks were done, we made our way to the deck for dinner. 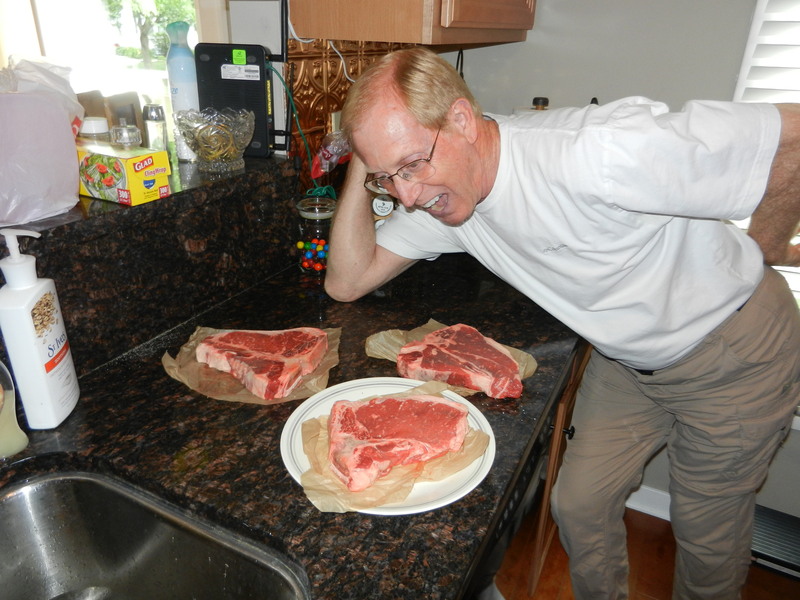 If you are a long time reader of my blog, you know by now that I’m not a huge red meat eater, however I do enjoy it every once and a while. Last night, my steak (it was either Porterhouse or T-Bone not sure) was fabulous. It was tender and so flavorful. Mom made sauteed mushrooms and onions to go on top. On the side I ate a simple green salad and green beans. After dinner, mom and I took Abbie out for a walk around the neighborhood. The nights have been cooling off so beautifully around here lately and the temperature was mid-70’s on our walk. It felt great. What a perfect way to spend the evening. 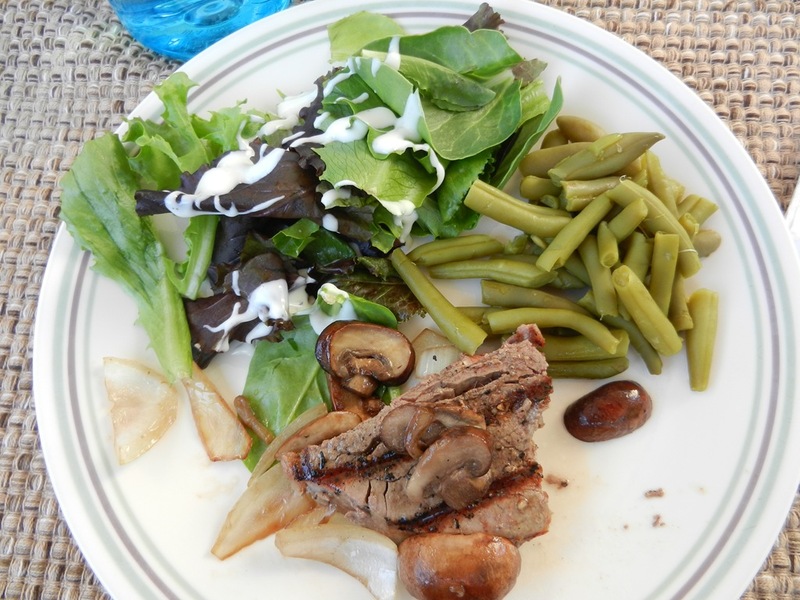 This entry was posted in Dinners, Family, Workouts and tagged Puppies, Steak, Veggies by Melanie. Bookmark the permalink.